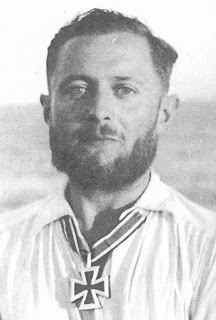 Ernst Bauer on patrol – he had by far the highest success rate of sinking of any skipper in Bahamas. Following Poske in U-504 was Ernst Bauer in U-126 whose killing spree in the region exceeded even the exploits of di Cossato the Italian. Between March 1st (when he entered the area midway from Bermuda to Anegada and northeast of Cat Island) Bauer sank the Gunny, Mariana, Barbara, Cardonia, Esso Bolivar (in the Windward Passage), Hanseat, Texan Olga, and Colabee (damaged) – all within the area of the Bahamas or its border with Haiti and Cuba. This patrol yielded a highly impressive tally of seven ships sunk for 32,955 tons and two damaged for 15,907 in the space of less than two weeks – he sank or attacked ships on the 2nd, 5th, 7th (twice), 8th, 9th, 12th (twice) and 13th of March. Bauer was a highly successful commander who built on these sinkings to amass 24 ships sunk for 111,564 tons, one warship (albeit one being carried by a transport ship) of 450 tons, and five ships damaged for over 38,000 GRT (gross registered tons) in his career. This patrol began on the 2nd of February 1942 in Lorient and ended there on the 29th of March. As we shall see in survivor reports, crew of both the Cardonia and Esso Bolivar are reported to have accused the submarine of machine-gunning lifeboats as they were lowered. The Colabee was salvaged. Wynn credits the U-126 with damaging the US freighter Halo (which was originally damaged off Cape Hatteras and later sunk by U-506 south of New Orleans on the 20th of April 1942) on this patrol of Cabo Corrientes, on the western tip of Cuba. Bauer was promoted from Kapitänleutnant to Korvettenkapitän in the last weeks of the war. During his stunning patrol of the Bahamas he was awarded the Knights Cross and this was embellished in April 1945 with the War Merit Cross First Class with Swords. He began his naval career in the Crew of 1933, and after a stint on the cruiser Konigsberg joined the U-boat arm in 1938. 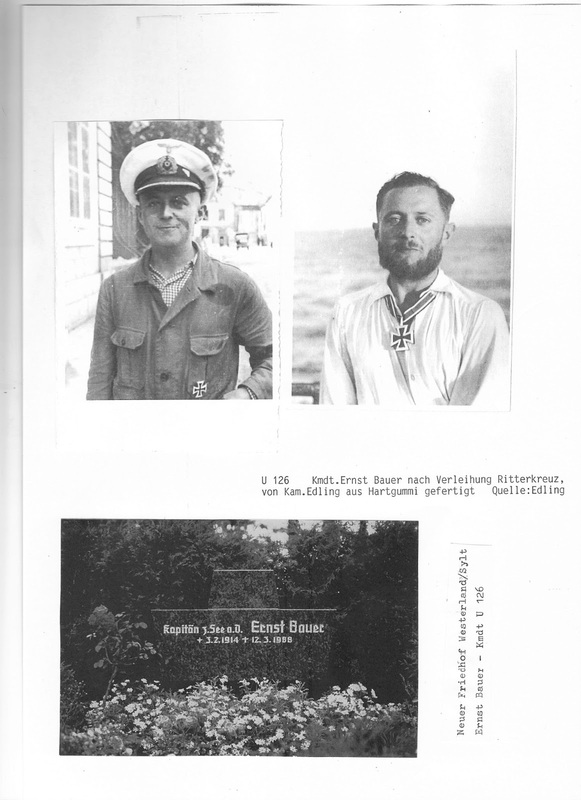 After successes in the Caribbean and West Africa he became a training officer and survived the war, rejoining the navy in 1955 and living until 1988 at age 74 as a Kapitän Zur See.